The 18th annual International Mother Language Day (IMLD), observed today (21 February 2017), has as its theme, “Towards Sustainable Futures through Multilingual Education,” which seems to carry on the focus on language in education from last year (presumably still with an eye on Sustainable Development Goal #4). It facilitates participation and action in society and gives access to new knowledge and cultural expressions, thus ensuring a harmonious interaction between the global and the local. This year’s Linguapax Prize, announced today (as it is annually, on IMLD), was awarded to Dr. Matthias Brenzinger, a German linguist specializing in African languages (notably non-Bantu click languages) and endangered languages, who is currently at the University of Cape Town and heads the Centre for African Linguistic Diversity (CALDi), which he founded. Dr. Brenzinger has also worked in Japan. 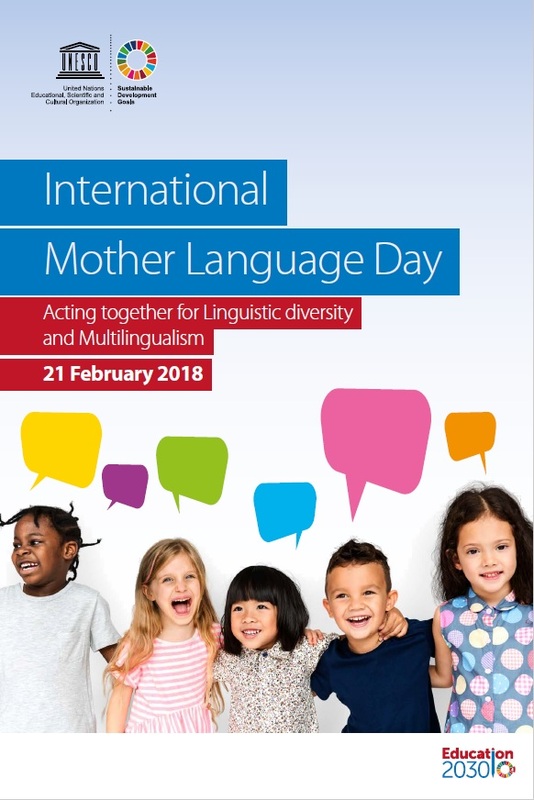 The 17th annual International Mother Language Day (IMLD), observed today (21 February 2016), has as its theme “Quality education, language(s) of instruction and learning outcomes.” Each IMLD has had a theme, and this year’s links mother languages to Sustainable Development Goal 4 of the recently adopted 2030 Agenda, which “focuses on quality education and lifelong learning for all,” and to the implementing plan for Goal 4, the Education 2030 Framework for Action. IMLD has been observed every year following its proclamation by UNESCO in 1999 (i.e., starting in 2000). IMLD events are organized locally, with UNESCO hosting the main annual event(s) in Paris. There is no definitive list of observances, which probably would not be possible anyway, as some are very small and not widely publicized. Nevertheless, one can get an idea of the range of activities from the internet, via searches or in social media (Facebook has several groups, pages, and event listings – see for example this one). On the internet there is an IMLD “Tweet in your #MotherLanguage” campaign again this year (first begun in 2014?). It’s not clear what those of us whose mother language is the dominant one on Twitter should do that’s different on IMLD, but there’s always the option to (re)tweet something in another language. 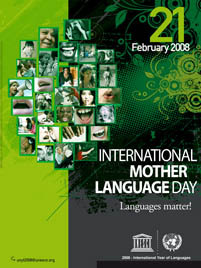 The 11th observation of International Mother Language Day takes place today. There are some events that follow in the next couple of days and I’ll post on those separately.